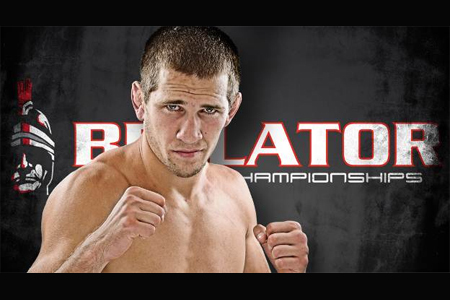 The pairings for Bellator Fighting Championships’ Season 7 Lightweight Tournament have been set. The tourney kicks off October 19th at Bellator 77. The show will be headlined by tournament favorite Alexander “Tiger” Sarnavskiy (Pictured) and veteran Rich Clementi. Rene Nazare vs. Ricardo Tirlonim, Marcin Held vs. Murad Machaev and Dave Jansen vs. Magomed Saadulaev round out the quarterfinals matchups. Reading Eagle Theater at The Sovereign Center in Pennsylvania hosts the shindig. MTV2 will broadcast the main card beginning at 8PM ET/PT.